Fine art, Illustration, graphic design and the art philanthropy of Sam Morrison: Photo Friday Submission - "One"
Here's my first submission to Photo Friday. This weeks challenge was to depict the concept of "ONE". 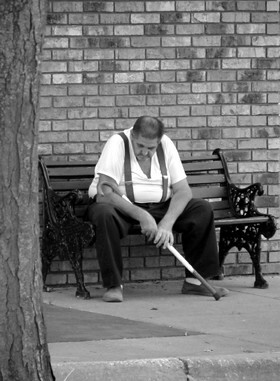 This photo was taken during one of my many photo walks thru Vicksburg, MI. The concept of "one" is depicted by this person's seemingly solitary existence.